There is no denying that Moroccan cookery is renowned throughout the world for its remarkable flavors and distinct preparation styles. The most important thing about Moroccan cooking is that it has a lot of unique and inimitable recipes which makes a significant impact on first taste and with every bite. For example, Casablanca Couscous not only offers very hot and spicy flavors but also gives the feeling of warmth and comfort to the diner making it a wonderful soul food. 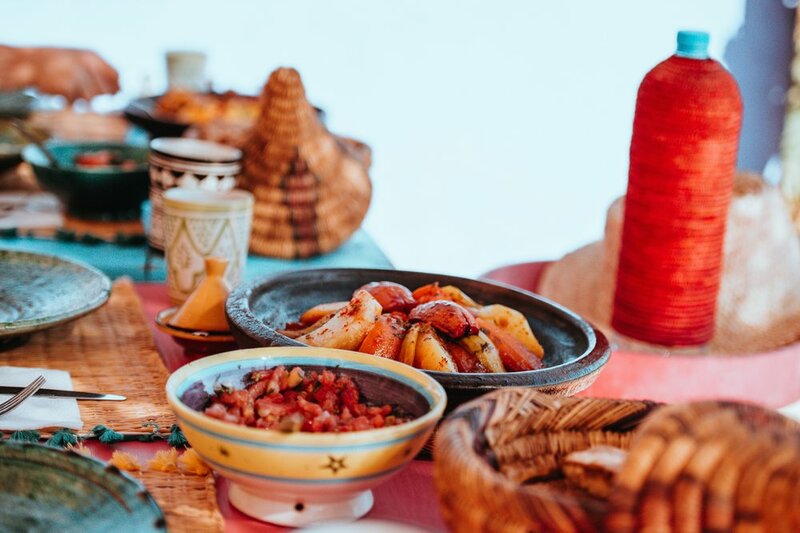 There are also many types of Moroccan dishes with such unforgettable taste that a mere smell of it will bring you back to the first time you had it. Culinary delights like Moroccan Chicken with Olives, Moroccan Harrira Soup, Moroccan Lamb with Apricot, Moroccan Meatball Stew are only a few examples. The traditional dishes are not only rich in flavor but also has a vibrant and diverse history. That is why the food appeals to many people around the world from different cultures. It also appeals to a many because of its health-benefiting qualities. Moroccan dishes are usually prepared with natural ingredients rich in nutrients and barely contain any unwholesome fixings. Whether you are looking to have an unforgettable meal or something healthy to dine on, Kous Kous is the perfect place to be. Experience the unique flavors of Moroccan food at Kous Kous Moroccan and Lounge. Reserve your table now!